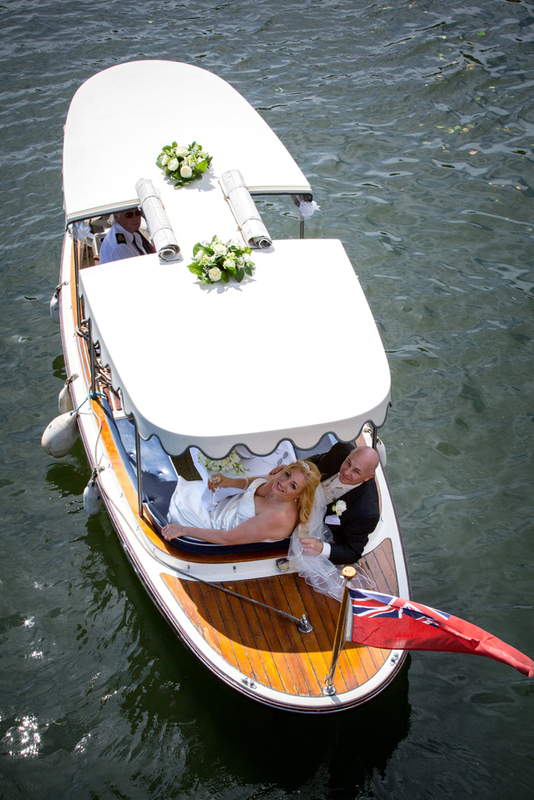 A couple of weeks ago I photographed the wedding of Louise & Lars at The Compleat Angler in Marlow. Now, over the years I’ve done a fair few weddings there but it did look lovely in the sunshine with the river flowing past. Louise & Lars’ wedding was a small but perfectly formed family affair which is always lovely as you mingle with everybody at the wedding. I often try & do a group shot of the whole wedding when there aren’t too many people to fit in the frame! Large group shots often test my physical fitness though as in my time I have climbed a church tower & hung out of many a window to capture the shot. At The Compleat Angler, with weather permitting, I gather the guests on the lawn by the river & make a quick dash around & up onto the bridge to get the shot from a vantage point. 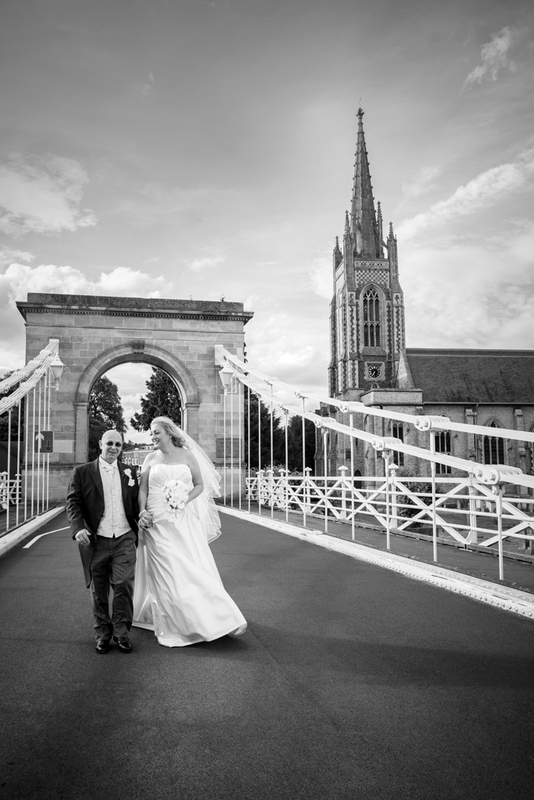 The river & bridge always seems to play an important part in a Compleat Angler wedding. I try to do some stylish bride & groom shots as they walk across the bridge. This is when I employ the skills of the Best Man, Ushers & my assistant to stop traffic. The boys at Louise & Lars’s wedding did a sterling job & everyone smiled & waved as they drove past! Louise & Lars also fitted a boat trip into their day which was lovely in the sunshine & I got some great photos of them onboard from the same vantage point of the bridge! 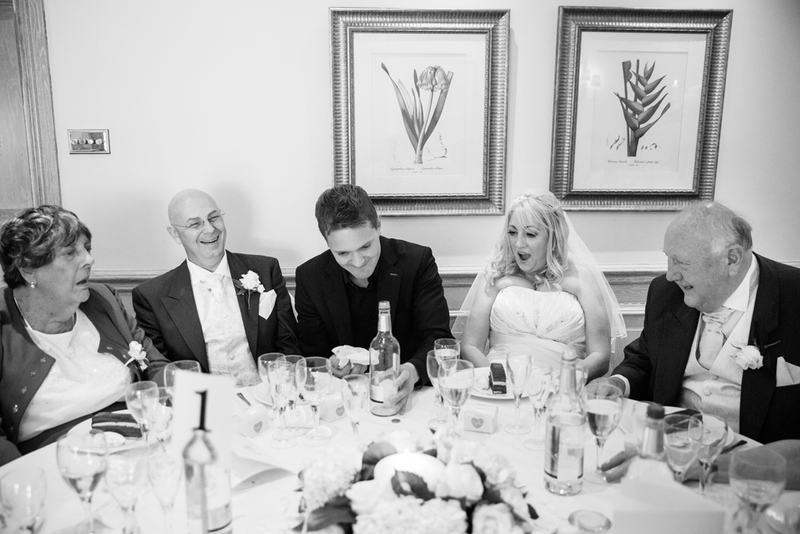 Louise & Lars also had one of my favourite wedding suppliers, Sam Strange, who is an amazing magician. I am always in wonder at his magic & can never work out he does it! 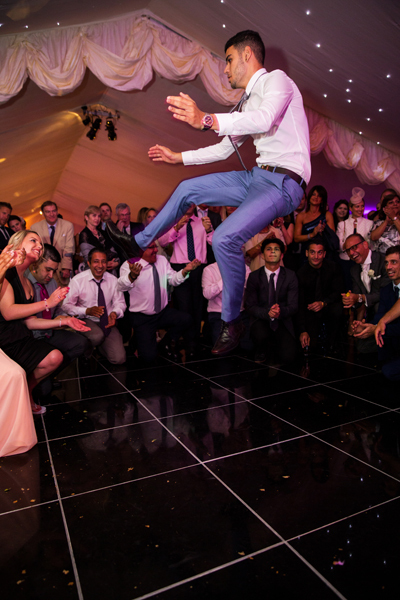 If you are thinking of a magician & are looking for someone a bit cooler than the average Sam is your man! 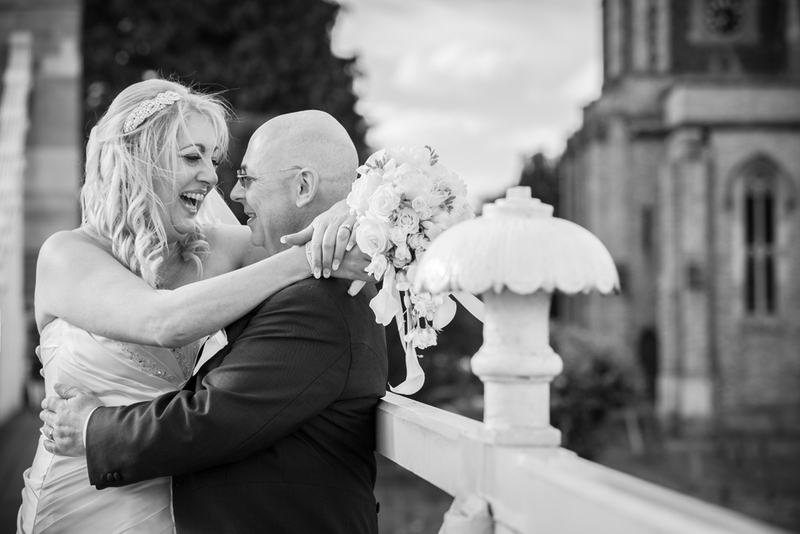 Here is your sneaky peek Louise & Lars. I wish you every happiness for your future lives together. Sometimes, as a photographer, something amazing happens before your eyes in a blink & you’ll miss it kind of way. I stand there, heart in mouth, snapping away hoping the technology can keep up with my trigger finger. One of these moments happened at the recent wedding of Alex & Charlotte. 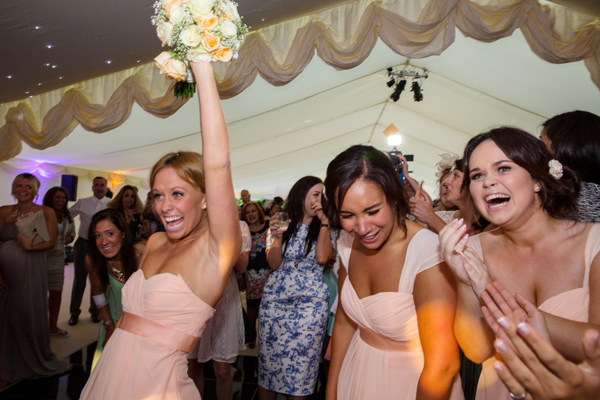 Now, I’ve photographed a fair few bouquet tosses but this one was simply the best! Charlotte had a fab group of bridesmaids including her sisters Georgia & Natalie, her friend Ruth & her husband-to-be’s sisters Annie & Hollie. They all lined up along with quite a number of single ladies ready for Charlotte to throw the bouquet. You may notice that Georgia & Ruth had a certain glint in their eyes not quite matched by the others. What happened next was a display of fine acrobatics, determination & perhaps a hint of a rugby tackle. A flailing of arms & Georgia threw her arm up in triumph. The following celebrations with her boyfriend & mum & the sympathetic handshake for her dad (& Father-of-the-Bride) were just fantastic. Will the family soon be celebrating another wedding? Well, if you need a photographer…..
Charlotte & Alex – A Sneak Peek! 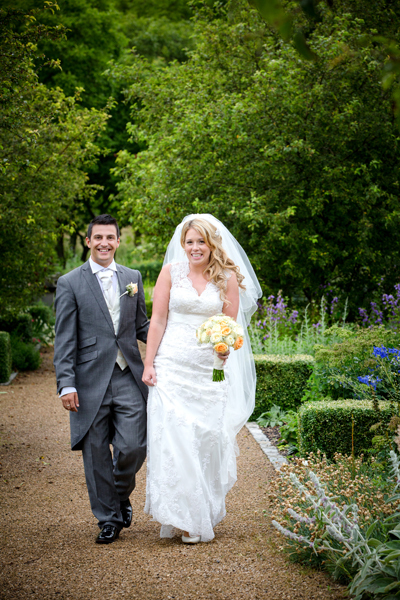 Recently I was thrilled to be asked to photograph Alex & Charlotte’s wedding in Weybridge, Surrey. To me the best testimonial of my work is to be recommended by my brides & grooms to their friends & families. About 4 or so years ago I photographed Alex’s sister’s wedding & I must have impressed to be asked again! Alex & Charlotte’s day dawned bright & clear but the forecasted weather did make an appearance as Charlotte travelled to the church. Part of my skill as a photographer is to use the weather conditions to add something to the photographs rather than detract. 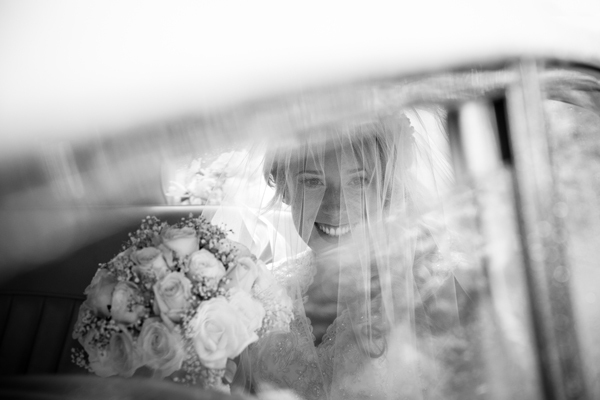 As an example one of my favourite shots of the day is the bride photographed through the raindrops on the car window. That being said, we were all pleased when the sun did shine & I got some really great shots of the bride & groom in the beautiful gardens of their venue Cherkley Court. One of the joys of being a wedding photographer is the variation whether it is wedding to wedding or the moments you capture on the day. 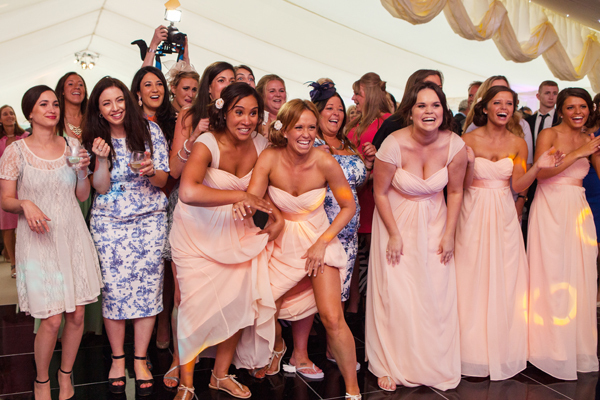 From the nervous reflection of the bride & groom before the wedding, the excited smiles of the bridesmaids to the laughter of the speeches & the fun of the dance floor. 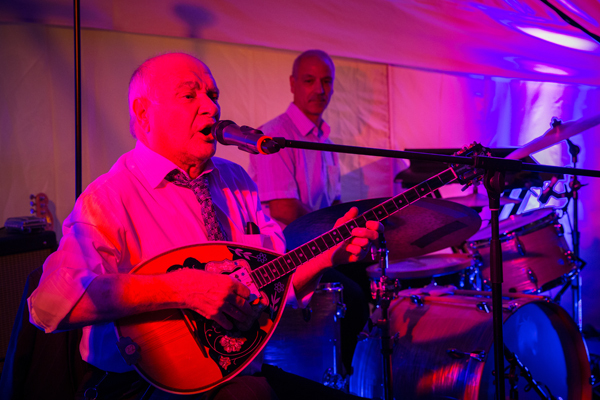 I am used to the traditional disco or band but Alex & Charlotte also had, due to Alex’s Greek heritage, traditional Greek dancing accompanied by Alex’s grandfather Bambos playing a bouzouki which is a traditional long necked stringed instrument a little like a mandolin. 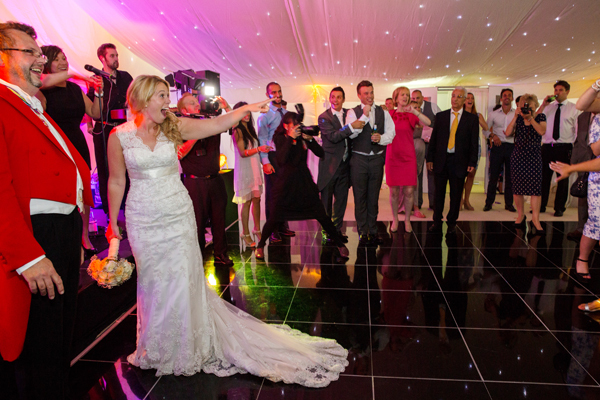 The moves on the dance floor were certainly very impressive & I was pleased with the images I captured. The day also included one of the best bouquet tosses I’ve ever seen. It was so impressive it’s going to have its own blog post – keep your eyes peeled! So, Alex & Charlotte here are your sneak peeks, I really hope you love them. Wishing you every happiness for your future lives together. #BVCC Benson Veteran Cycling Club 2014 Photographs Available Soon! 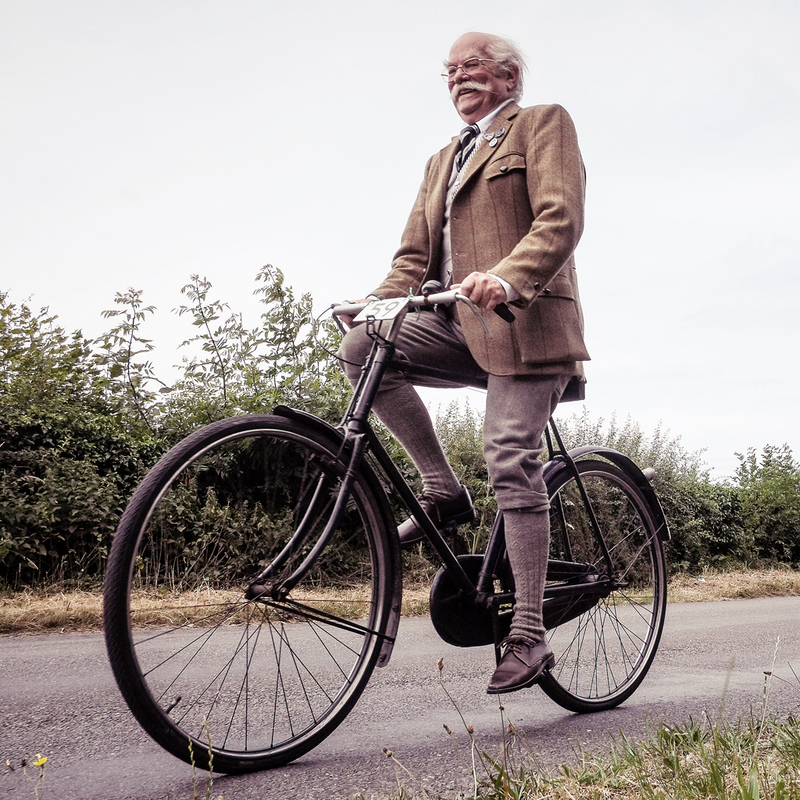 Today I went to see a friend who was taking part in the Benson Veteran Cycle Club annual ride in South Oxfordshire. Naturally I took my camera to do a few pictures but as I was there thought I would photograph the events and try and get a nice picture of each participant whilst they were riding their trusted stead. Well it was great fun, there are some great pictures and they will soon be ready on my client area of my website. Please sign up to the gallery and the images will be ready to view or purchase by the 8th July.